I’ve been making a list of all things I’ve enjoyed this past week, to my surprise I came up with seven different things! So, get comfortable and enjoy. It’s Friday after all. 😉 Aside from my half marathon training run, I’m going to miss my bike ride on Saturday. However, I’m hoping to see some friendly faces at the FLBlogCon in Orlando. Our good ole oxo tea kettle finally bit the dust. After ten years, we received it as a wedding gift, it was time to purchase a new one. I really had a hard time letting go of our old one, but Jim surprised me with a new one for my birthday. How could I say no to this pretty little thing? 😉 I’ve been using it and although it looks small, it can hold up to 8 cups so it works perfect for making iced tea. 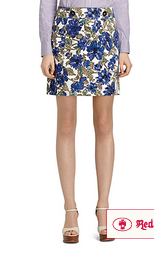 I’ve been eyeing this skirt for a while on Brooks Brothers. I finally decided to purchase it on Labor Day weekend when Brooks Brothers was having a 60% off sale. For $35 I couldn’t say no. Could you? So, as you can see I do eat my occasional egg white mcmuffin. However, I have become a big fan of the Oikos yogurt. Last week I went food shopping and grabbed a few Oikos and a few of another brand that rhymes with “mani”. Let’s just say that I ate all of my Oikos and I still have most of the other brand left in my fridge, secretly hoping my husband would eat them. It’s not that the other brand is bad, I just prefer Oikos. I’ve become an Oikos yogurt person. So I read Gone Girl a while back, like last year I think. This summer I read Dark Places after having it on my night stand for almost a year. I figured it was time to read Sharp Objects. All three books are not connected, but they were written by the same author, Gillian Jill. I most say I enjoyed Gone Girl most, then Dark Places, then Sharp Objects. I’m looking forward to seeing Gone Girl and Dark Places on the big screen. If you have any book suggestions, I’m definitively open. 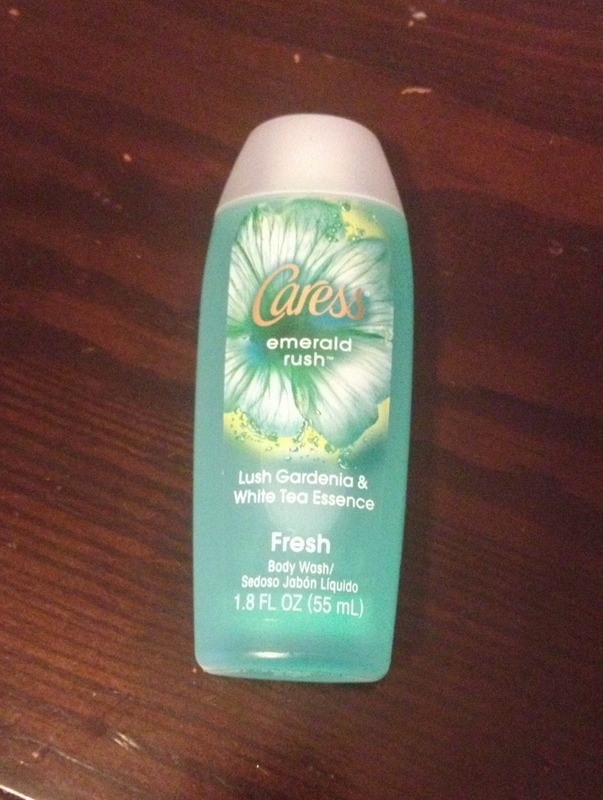 Through an Influenster campaign I received a free sample of Caress new fresh collection Emerald Rush for testing purposes. The Lush gardenia and white tea essence is definitively fresh and has a slightly sweet scent. The #FreshCollection includes body washes and soaps. Other fragrances available are juicy escape (lily & pink grapefruit), aqua sparkle (lilac blossoms and aquamarine essence). Have you seen it on your store’s shelf? That’s all for today. Let me know what you’ve been loving this week by leaving a comment below! CARLA recently posted…What do you call objects which remind you of your goals? Yes! Let me know what you think! I love my LeCreuset pots – so worth the investment! Sharp Objects was my least favorite of the three books, but still pretty good! This is my second LeCreuset “pot”. I never saw anyone cooking on one growing up so I was really worried about messing them up. So far, I’ve done ok with them. I agree, Sharp Objects was good, but not as good as the others. Yes, their dips are really good too! And so much easier when you are in a hurry. I’ll be looking for you tomorrow! 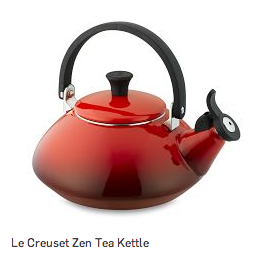 I love “zen” things, like that teapot you got! Me too. I love going into Teavana and looking at theirs too. Cute skirt! I love a good sale! Gone girl is amazing! And I’m really looking forward to seeing the movie when it comes out. Thanks for the link up! Great favorites! I liked reading Gone Girl, too! It’s definitely a page turner. I haven’t thought to check out her other books, but Dark Places sounds interesting! Thank you for pointing it out! You have to read Dark Places, it was really well written and a page turner.